We have come to a stage where the car is not just a vehicle but the fashion statement. Maruti Suzuki is considered as the brand for the middle class. It provided a perfect opportunity for many middle-class Indians to drive their dream car. Launched in 1980s Maruti Suzuki was the brand which found many loyal customers India, The brand developed an unequal relationship with millions of Indians. Earlier, possessing a car was regarded as a sign of richness. Maruti brand changed this equation altogether. The car became a family member rather than being just an object. People developed a cordial relationship with the car. This situation remained for a long. Maruti also enjoyed customers’ love and affection. In return, the organization also replied by manufacturing vehicles which are made exclusively for Indian conditions. The market is flooded with the Maruti Suzuki cars for different reasons. 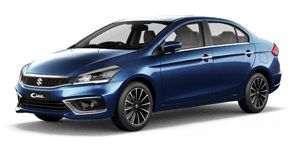 The significant reason was that the Maruti Suzuki cars require low maintenance; most parts of the cars are available at low prices. The road conditions are awful in India. The foreign car brands did not understand this and designed the cars. These cars were not tailor made for Indian conditions; thus there were fewer takes. Additionally price range was also high which was not affordable for many people in India. Maruti Suzuki seized this opportunity and grabbed the market by creating a space in customers’ mind. A few years back, the market for Maruti Suzuki car got matured. The economic conditions, roads, infrastructure got improved. The new generation came to the forefront. These people belong to the generation which always had options. The target audience is the generation x, and we are talking about the generation which grew up with the television in India and evolved with the innovative mediums like internet and mobile. The car meant different for them. If the car was a luxurious possession for the earlier generations, this generation x considered the car as the necessity. More style was expected from the vehicle. Maruti Suzuki came up with something extraordinary, something unique. It created the unprecedented ride with out of the world experience. To echo the next thing with vogue, the new name was coined, `Nexa’. The particular focus was kept on defining a new experience and set apart from the umbrella brand Maruti Suzuki. Take for example Maruti Suzuki Baleno in the Nexa series. With VVT Petrol Engine and 1197 cc power, this is the compelling option for a ride. Security features of the car are also state of the art. Airbags are provided for drivers’ seat as well as passenger’s seat. 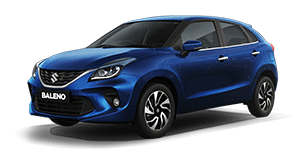 Steering Mounted Audio Control, Auto Up Power Window Driver, Front Seat Adjustable Headrest, Smart Key are the things which are specially provided in the Maruti Suzuki Baleno in the Nexa series. Comfort and convenience of the driver are of the utmost importance. Exterior features are the one which needs special appreciation. Coloured ORVMs, Body Coloured Bumpers, Rear Combination Lamps With LED, A+B+C Pillar Blackout, UV Cut Glass (Front Doors+RearDoors+Qutr Glass) are some of the remarkable external features. Capturing the market and winning hearts of customers, Maruti Suzuki Baleno is surging ahead in style. The Originationsis planning to invest more and bring more exciting features. Experience all these exciting Features; Take a Test Drive of Baleno today at Nexa ShivamAutoZone Showroom at Kandivali (W) or Andheri(E). Roop Nagar CHS Ltd, Next to Shivam Autozone, S.V. Road, Kandivali (West), Mumbai - 400067.